It didn't even make it into second gear. 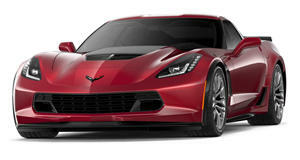 The Chevrolet Corvette Z06 is by far one of the newest, fastest and finest American sports cars out there. But for one new owner, it seems to have gone from pride to shame faster than it goes from zero to sixty. Taking his brand new Z06 out for an acceleration run which his friends caught on camera, the guy lost traction during his shift into second gear. In this painful footage, the Corvette soon says goodbye to the road and meets a tree. Though the video is cut short, photos of the aftermath have surfaced online and the result isn't pretty, to say the least.